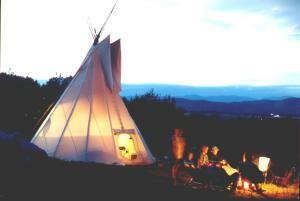 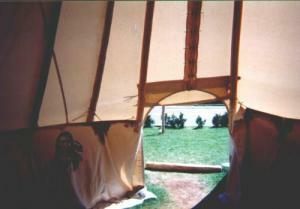 The teepee is always open by a hole at the top of the teepee, its «chimney». 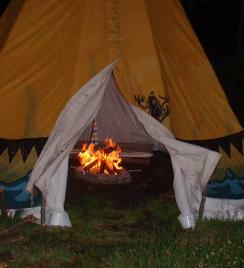 This lets the smoke and the heat that creates the inside fire to go out. 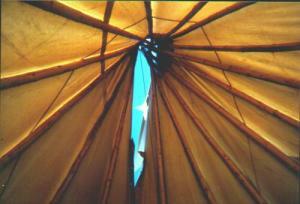 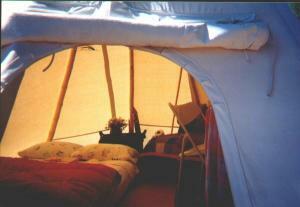 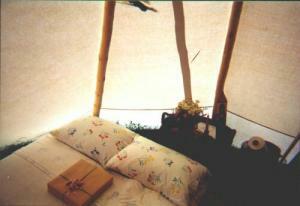 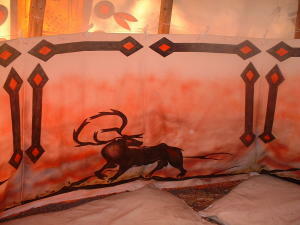 A liner is available to insulate the bottom of the teepee.